ANGOLA: Trademark Applications | Smit & Van Wyk, Inc.
Must be notarised and legalised up to the Angolan Consulate. If we attend to legalisation: only scanned copy of signed Power of Attorney required. Certificate of incorporation or extract from the commercial register. Notarised and legalised up to the Angolan Consulate. A notarized Portuguese translation of the proof of activity. (if priority is claimed) A copy of the priority application, certified by the relevant Trademarks Office as a true copy and legalized up to the Angolan Consulate. A notarized Portuguese translation of the priority documents. If the trade mark is a logo, please send electronically. The informal search is done in an internal database that includes all trademarks published in Angola and the results are available within 4 to 5 business days. The official search is done by the Angolan IP Office and takes about 3 months. After filing, trademark applications are examined for formal and substantial requirements and conflict with prior registrations or pending applications. Accepted applications will be published for a 2 months opposition period. 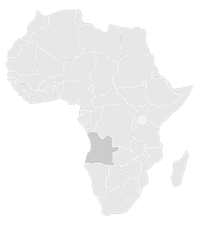 Smit & van Wyk, Inc. trade mark agents in Africa: Our services include trade mark applications, maintenance and protection in Angola. The patent and trade mark attorneys at our firm are dedicated individuals, skilled in their fields of practice, and can provide clear advice on complex legal matters to clients from all over the world.